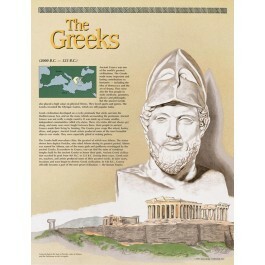 This educational poster of Ancient Greece features artistic renderings of a bust of Pericles, and the Parthenon on the Acropolis. 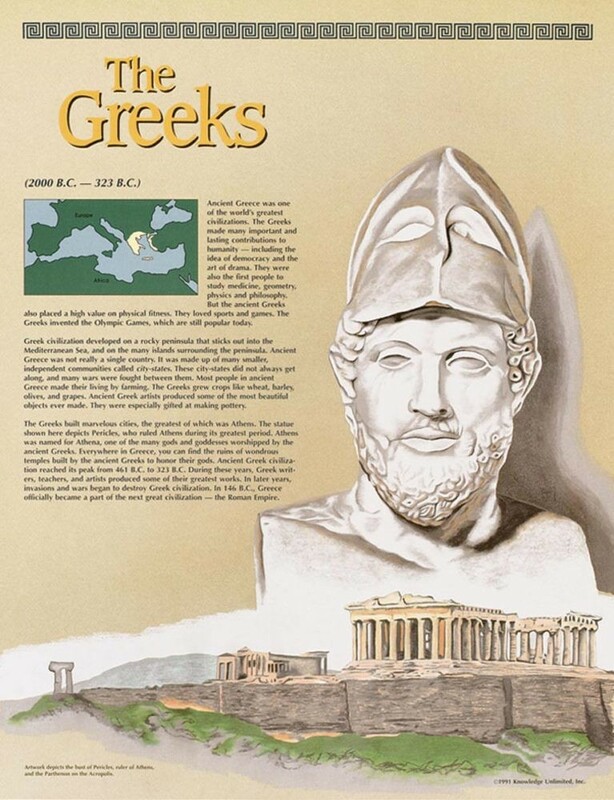 It also contains a concise and well-explained background history of the Ancient Greeks, as well as a small map showing where the civilization was centered during its prime. It is well-acknowledged that Ancient Greece was one of the world's greatest civilizations. The Ancient Greeks made many lasting contributions to humanity, including the idea of democracy, and the art of drama. They were also the first people to study medicine, geometry, physics and philosophy.